This is a question that I get asked a lot and it’s a really important one because, from a prospective bride and groom’s point of view, it gives them an idea of how much value they are getting for their hard earned cash! It’s also a point where there’s some concern that, if the wedding runs late, there might be some scope for being charged an outrageous hourly rate for the photographer to stay on beyond the time that has been previously agreed. I know a number of photographers quote their prices in terms of the number of hours of coverage and, whilst this is a perfectly reasonable and sensible approach, I think it can cause a sense of unnecessary stress for the bride and groom. 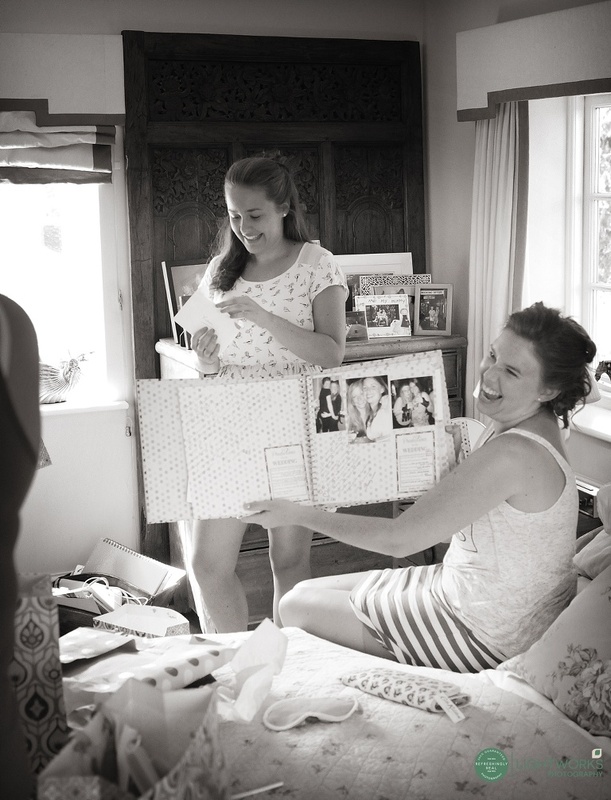 Basically, on your wedding day, I don’t do anything else apart from photograph your wedding! I don’t have any other commitments, don’t set any expectations of what time I’m going to get home, or even do any preparation or planning for the day – I do all of that the day before. I find that this is a much less stressful experience for me as I can mentally concentrate exclusively on photographing your wedding (apart from the stress of transport and logistics, but that’s another blog post!). It also means that I’m free to arrive and photograph from whatever point in the day you would like (usually bridal preparations) up until when the dancing starts in the evening. Having said that I have actually photographed the boys playing football early in the morning, early morning horse riding and, at the other end of the day, fireworks and departures by helicopter so I am really happy to fit in with you! 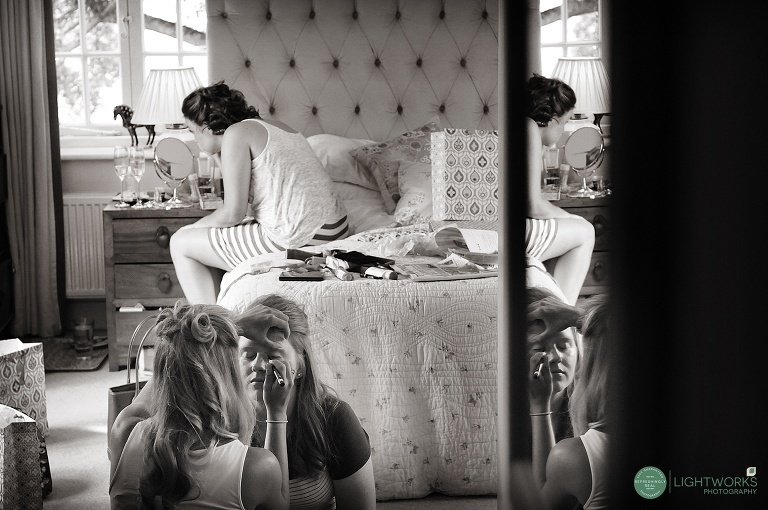 Bride’s reflection – doing make up. I’m 46 – how long do you think I can work for? Realistically, I can happily go for 8-10 hours or so and then start to flag a little! 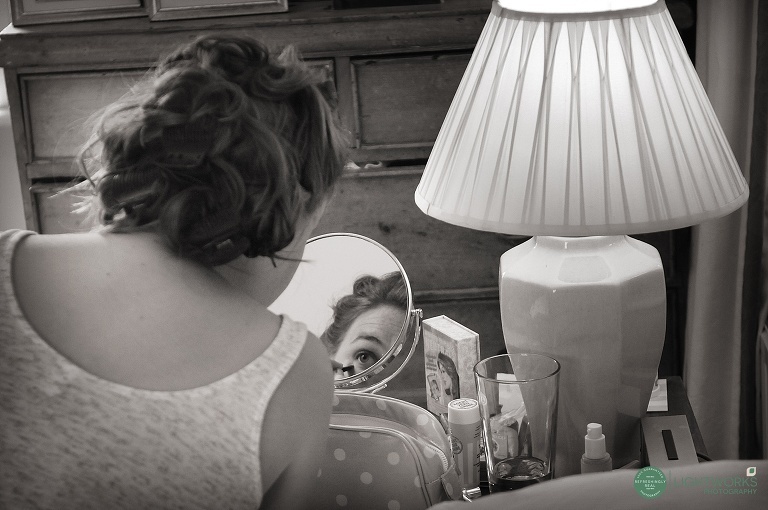 I’ve done longer weddings and am happy to do so but generally I will photograph an hour or so of bridal preparations before the ceremony up until just after the first dance. This seems to be what most people want and fits in rather nicely with my stamina rating! You will, no doubt, have a rough idea of timings towards the end of the day, things will almost certainly run late and, with the approach above this isn’t a problem! 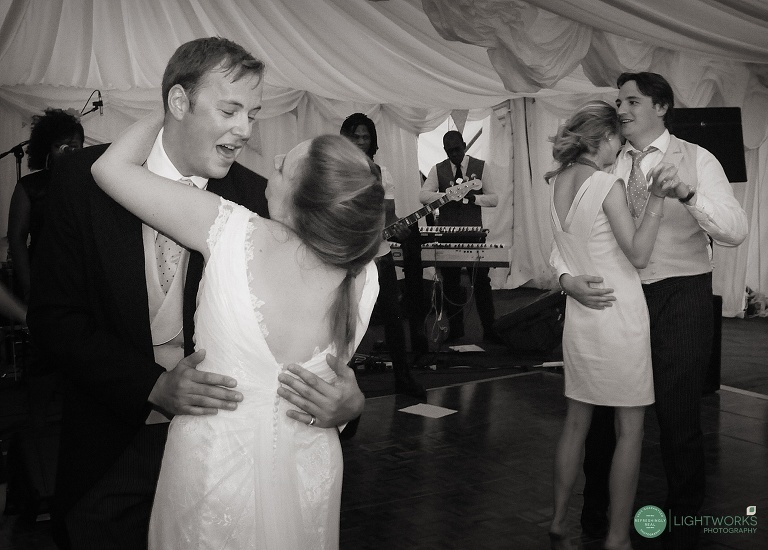 Eleven or twelve years ago when I first started photographing weddings I felt, in my inexperience, the need to be on the go all the time, to be constantly photographing and to work solidly from beginning to end. I had a rather funny conversation with a couple the other day about my feeling that I don’t “feel the need to run” any more at a wedding and it made me realise that years ago I did rush around, photographing away rather madly and completely tiring myself out! Now, I’m no slouch, despite my ever so slightly advancing years, but I do work much more slowly now; I take regular 5 minute breaks and everything is much more considered. I also take far fewer pictures over the course of a wedding than I did ten years ago but the standard and consistency of my images has increased tenfold! It’s important to me that I am as sharp and alert during your first dance at 9pm as I was at 11am when I was photographing you having your make up done! Do you really want a picture of Uncle Jim with food down his chin? The only time I really take a break is when you are eating. This is a good opportunity for me to have a proper rest and also to have something to eat as well. I usually spend some time downloading and backing up images from the day as it’s great peace of mind for me to know that all of the images are safe before I leave. Having this break also means that I am refreshed and ready to get going when it’s time to photograph the speeches, first dance and evening celebrations as well. So, there is a hopefully reasonably coherent answer to a sort of “how long is a piece of string” question! 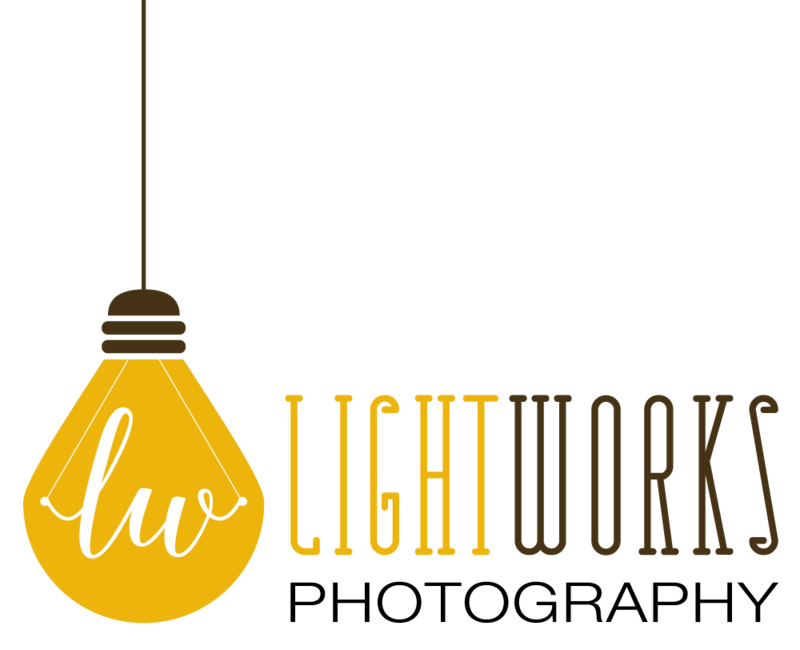 If you would like to have a chat about the timings or photography for your wedding then just give me a shout.